Even as the only alternative to a life lived in constant pain and distress, pet euthanasia can feel like a heartrending, impossible step to have to take. We are pet owners and animal lovers ourselves. Many of us have faced the same choice that you now do. But we firmly believe that when extreme age, injury or a terminal condition have made your pet's every second agony, there is one final gift that you can give to them. It is important not to imagine the stainless steel tabletops at your local veterinary surgery. 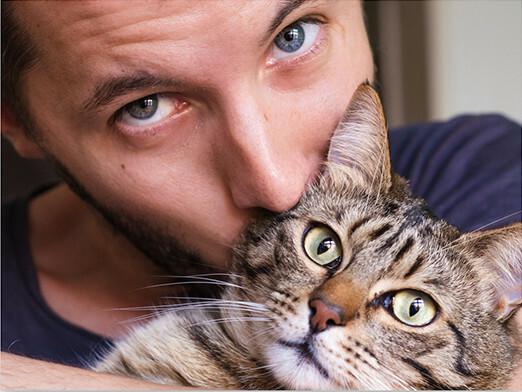 Instead, picture saying goodbye to your beloved animal companion in your own home. They can lie in their favourite spot, be surrounded by their favourite toys and blankets, and you can be there to offer your unconditional love and support throughout. There will be no stress for them - and, most importantly, no further pain or discomfort whatsoever. The method we follow when putting a dog down or putting a cat to sleep is entirely painless. In many cases, they will not even notice your friendly and understanding home visit vet being nearby. They will simply feel a tiny pinprick and go to sleep. It is only after they are asleep that the final injection takes place and they can gently drift away. You can find out any further details you might like to know - either about how the process will happen or about cat euthanasia costs or the cost of putting a dog down - anytime you feel able to have the conversation. As pet owners who have experienced bereavement ourselves, we fully understand that you need to know everything - from more information about dog euthanasia costs to the exact way we work - and will be glad to answer all of your questions. Once you have determined that your pet is suffering - and this can be difficult as many animals will try to conceal any injuries or illness - it is important to know that you can quickly get any pet pain relief that you need. You can rely on us for both initial examination - in the form of a pet quality of life consultation - prescription of the correct pain relief for dogs, cats and other pets, or to fill the prescriptions made by other local pet care professionals who we know we can rely on. 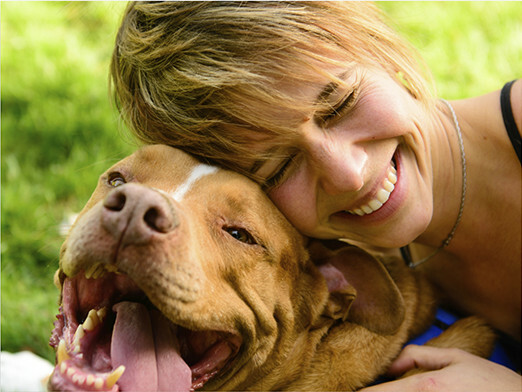 The way we prefer to work is to have one of our caring vets visit you and your pet at home. This allows them to take into account every aspect of your pet's lifestyle, including their diet, sleep and exercise regime, when making their diagnosis. It also means you do not need to force your pet into a stressful journey inside a box or cage or bumpy vehicle down to your local clinic, only to have to sit uncomfortably on a stainless steel table while they are examined. All medicinal pain relief for cats and dogs which we prescribe is only done when absolutely necessary. We also like to include suggestions for changes to the way they eat, sleep or go for walks which will improve their daily quality of life. You can find out more about the way we work and about the medicines and approaches we use whenever you get in touch with us. We are here to help at all times of the day and always happy to advise you on when a quality of life consultation is and is not a good idea for your pet. Our local pet chapel of rest is set in small but very attractive grounds. It is here where many of our clients prefer to spread the ashes after they have allowed us to assist them with the final step of their beloved animal companion's journey through life. Offering both group and solo pet cremation services, we can transport your pet to the chapel for you after you have said your final goodbyes. This will always be done calmly and respectfully and you will be free to come and visit them. Group animal cremation services will be followed by an ash spreading ceremony outside the chapel, which we welcome you to attend. Solo cat or dog cremation means that their ashes can be handed over to you for spreading in whatever spot is most personal to you. You can rely on us for dog or cat cremation whether you have called upon us to assist you in your pet's final days or not. This service does not necessarily need to be linked to any of our others, so even if an animal family member has passed away unexpectedly, we can still be there to help you. To tell us how we can assist you best, or to ask any questions you might have about pet cremation costs and the like, please contact us at your earliest convenience. Although it may sound strange it can sometimes be difficult to tell whether your pet is enjoying life or is in constant pain after they have reached old age or been diagnosed with a serious illness. This is especially true for cats, who routinely disguise the fact that they are suffering any discomfort. We will send a Caring Vet to assist you in diagnosis. They can then advise you on how to deliver pain management and provide pet painkillers if necessary. Pet memorials can be difficult to choose - and tasteful ones even more challenging to find. As animals lovers and pet owners, many of who have had to come to terms with bereavement ourselves, we understand that sometimes all you want is a simple way to memorialise your pet. This can be a straightforward pet marker stone, a headstone, or sometimes a container for ashes, such as an urn or a tray. We have collected a small selection of items of the kind which we have been looking for ourselves when the worst has happened. But if you cannot immediately locate something suitable, please do ask us for more information or suggestions. Like you, we know that remembering your pet is part of the grieving process. So whether you need someone to talk to or assistance with planning your pet memorials, please do not hesitate to call.